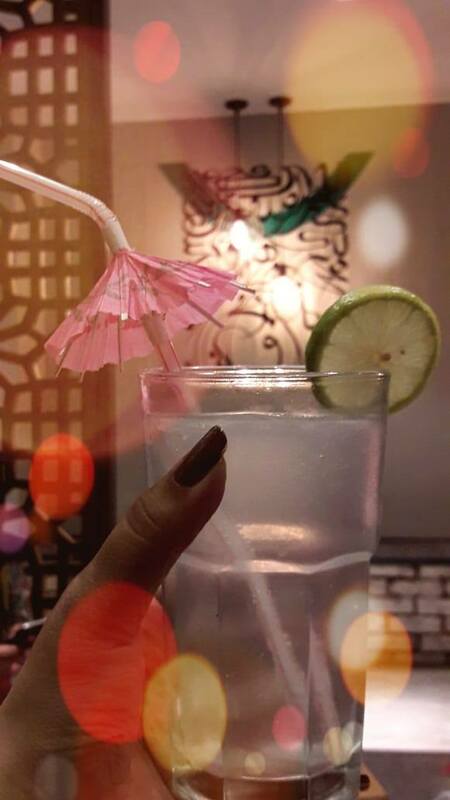 In the pursuit of adding new flavors to my life with good food,good people and good times,I decided to head over to a newly-opened eatery in K-town called, "Maraheb Pakistan." 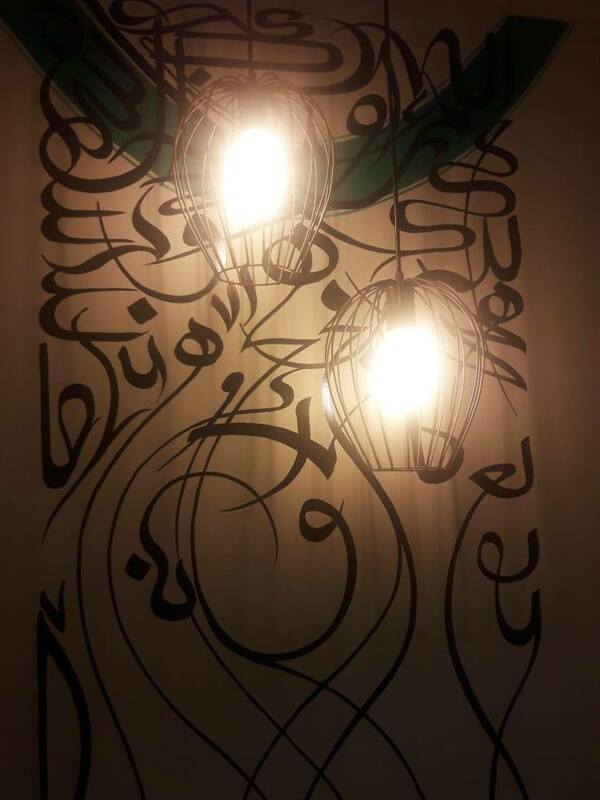 Located in Bahadurabad, the restaurant features a well-lit, elegantly-decorated setup with a friendly staff waiting to greet you at the entrance! The spacious seating area gives you another reason to visit this place along with your family and friends. 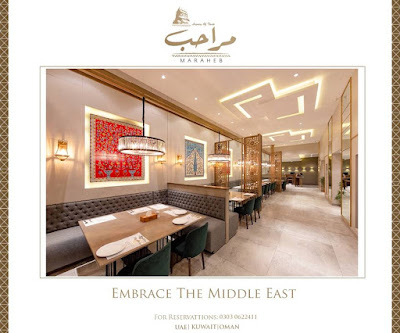 Speaking about the food, the menu for the day included Rainbow Hummus and Loaded Batata as Starters, Saltah Fasah with Muluawa Bread and Zorbiyan as the Main Course Meals, and Red Velvet Milk Cake and Kunafa with Ice-cream for Desserts. The all-so-colorful "Rainbow Hummus" was served as the house special in four different flavors including original, beetroot, roasted capsicum,and a spicy blend. While I got a bit late to try out the Rainbow Hummus, I started off with a bowl full of "Loaded Batata" that not only looked pleasing to the eye but also turned out to be pleasing for the palate. with spicy potatoes topped with mozarella cheese and dynamite sauce, the flavorful explosion had such a delicious impact that I didn't feel like settling for one bowl only! Next came Saltah Fahsa being served with Muluawa Bread where the bread looked more like a huge garlic naan, enough to fill the tummy of a group of 2-3 people. A sizzling pot of curry containing shredded beef being prepared with a 7-spice mix, the Yemeni dish tasted more or less similar like the spicy Pakistani Beef Stew - a comfort food for the meat lovers. Being one of the recently introduced items on their menu, "Zorbiyan" was served the next, drawing our complete attention to it because of the way it is being brought on the table. Given a choice to choose between Madhbi and Zorbiyan, I decided to opt for a small portion of the well-cooked traditional Arabian rice, "Madhbi" that I enjoyed eating along with some tomato sauce. What came as a delightful accompaniment to the entire good food menu were the desserts! While some of us took delight in feasting on "Kunafa" with Pistachio ice-cream, I stuffed myself with a heavenly slice of "Red Velvet Milk Cake," making it the second best item of the entire dining experience at Maraheb Pakistan. 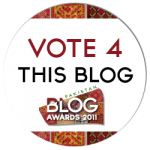 Maraheb Pakistan can be digitally perused on Facebook and Instagram. Until next, Happy Munching Folks! It’s that time of the year again when I am eagerly anticipating the celebration of one of my favorite toddler’s birthday. My little nephew is turning a year old soon and we cannot just contain our excitement for planning his very first birthday party! 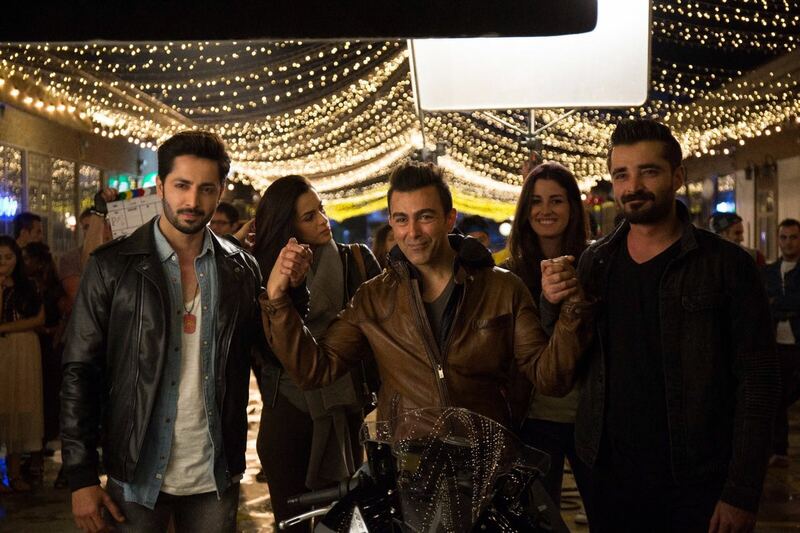 A perfect birthday bash, however, remains incomplete without a special birthday gift for the little munchkin. Although, it’s pretty easy to find a super-duper cute birthday gift from any toy store, I had been on a hunt to find something exclusive and entertaining at the same time and that would benefit the baby in the long run. It was when I stumbled upon Gymboree Play & Music Pre-school after being suggested by a close acquaintance. 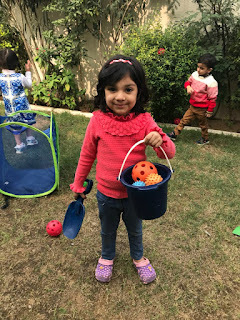 Before I could finally enroll my little nephew into any of Gymboree Pre-school programs, I decided to explore more about this unique learning space, which eventually led to my very first visit at Gymboree Play & Music Clifton Center in Karachi. And I am so glad I made the right decision! Greeted by such an amicable staff at the reception, I could clearly tell that I was in for a delightful experience. 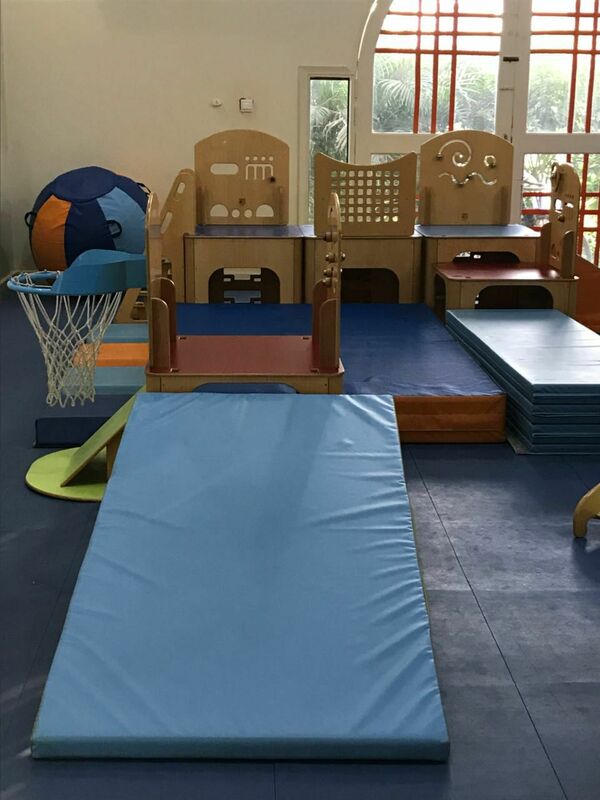 Ms. Javeria, a professionally-trained instructor at the center, introduced me to various facilities including state-of-the-art Play Gym, Art Studio and Skill Room. 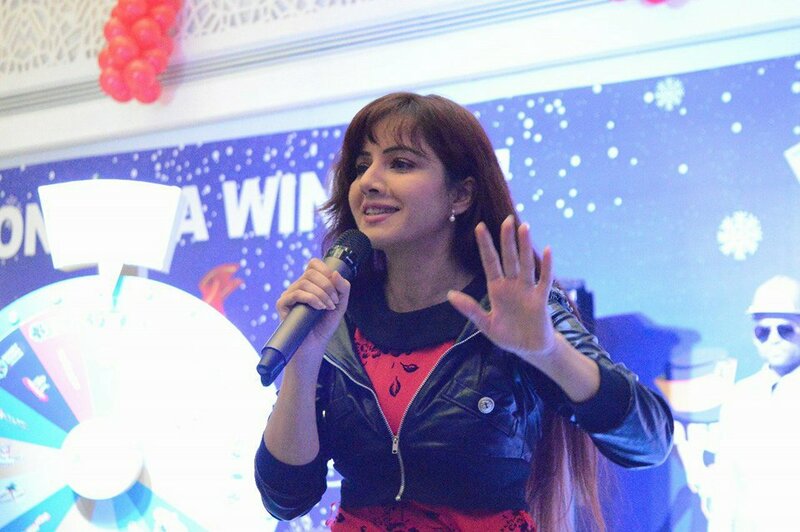 She further elaborated about how the colorful and unique class equipment and various play & learn activities being conducted at the center contributes towards early childhood development while producing a breed of talented toddlers. 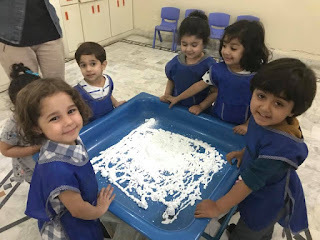 The best part about Gymboree is its curriculum that has been designed by its program directors in collaboration with the international child development experts, Zero to Three. One cannot just deny the significance of playful learning in early childhood development process. 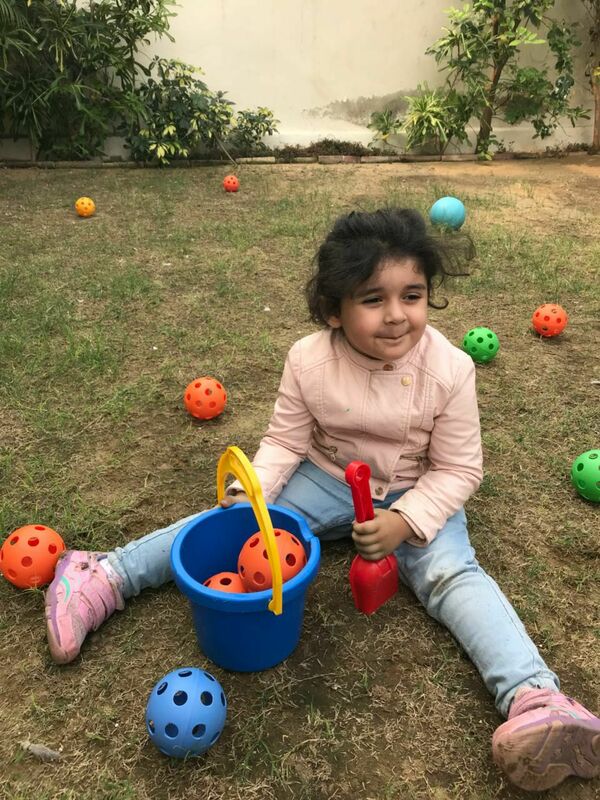 Be it physical play, construction play, symbolic play or language play, the age-appropriate and goal-directed playful activities serve as an effective vehicle in ensuring the best enrichment education to children. Gymboree provides such opportunities for learning through age-appropriate play & learning activities that build confidence, creativity and imaginative skills in a child aged between 0-5 years. “Through Play & Learn, art, movement to music, and tactile exploration, children start to figure out how the world works around them.” And that’s exactly what I wanted for my little Columbus. From padded floors to various super fun and colorful playing objects, every equipment is being specifically designed by keeping the needs of children in mind. The play floor at Gymboree provides a safe and secure environment for the kids to have fun, learn and explore under individual attention by professionally-trained teachers. The best part about Gymboree classes is the flexibility being given to parents to take part in various fun activities along with their kids. Play dates and parties are being hosted each month for the members to experience a specialized Gymboree party. At Gymboree, it’s not just about kids but it also focuses on fostering a strong parent-child bond. Even the aunts like us could play! 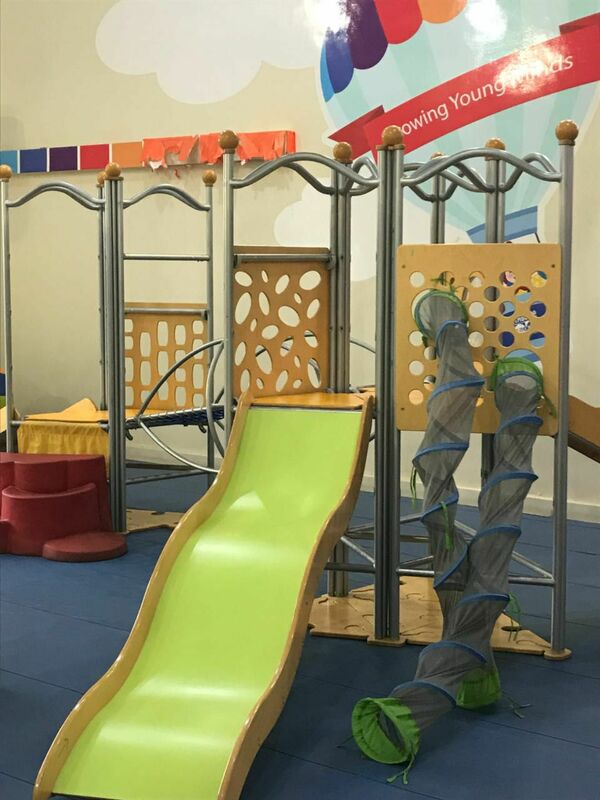 Gymboree Play & Music classes not only let your tiny tots socialize and communicate in a friendly environment but it also lets you network with mothers in the house making it a perfect hang-out for new moms over cups and cradles. 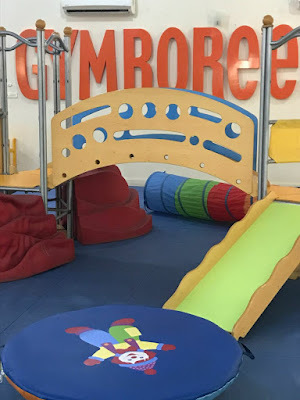 Gymboree Play & Music is a center of holistic development that supports social, physical, emotional, and intellectual growth of kids and preschoolers. It is a place where children can find a plethora of learning opportunities and activities that are best suited to their needs. Through these activities, they are not only able to develop academic and cognitive skills but these also play an empirical role in cultivating confidence, communication, perseverance, and cooperation that eventually builds foundation for a healthy and happy future generation. Remember that it’s the Happy Kids Who Learn Best! [#FeatureFriday] Bling it On, Brides with the Dazzling 5! It’s your wedding day and you want to remember it as the best day of your life – the day when you would want to look your best while never running out of wonderful compliments filled with love and adoration. And therefore, you pick and choose the most stunning wedding outfit on the shelf. But this alone won’t make you a stunner! Isn’t it? 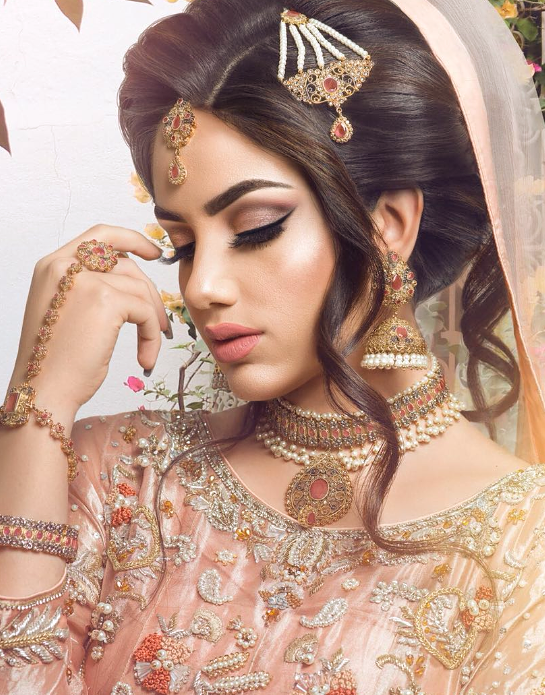 In order to flaunt a perfect bridal look that cannot just go unnoticed, you need to complement the bridal wear with some exquisite jewelry that exudes beauty and brilliance, speaking of which, reminds me of my recent gem-of-a-kind hunt for the finest of all in the wedding bling. 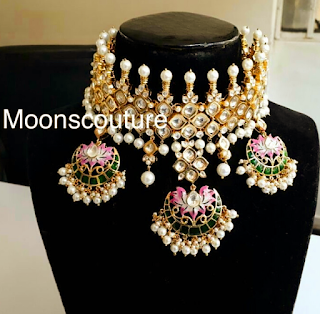 As suggested by a friend, I headed over to Moon’s Couture online store where I discovered some gorgeous pieces of wedding jewelry for the traditional and the style-savvy brides. Being based in London’s fashion hub, Moon’s Couture is being known for producing tailor-made jewelry collection, intricately designed by Ms. Memoona Qureshi. From precious pearls to ravishing rubies, dainty diamonds to exotic emeralds, the shop offers bling for every bride. Apart from good quality, it is that outstanding beauty of craftsmanship that makes it all appealing. 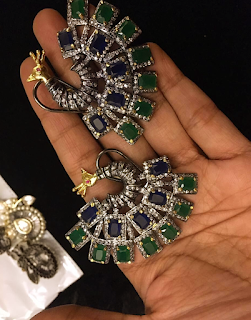 From creating a design to the beading and fabrication, the entire process is dealt with focus and dedication as reflected in each of its pieces. 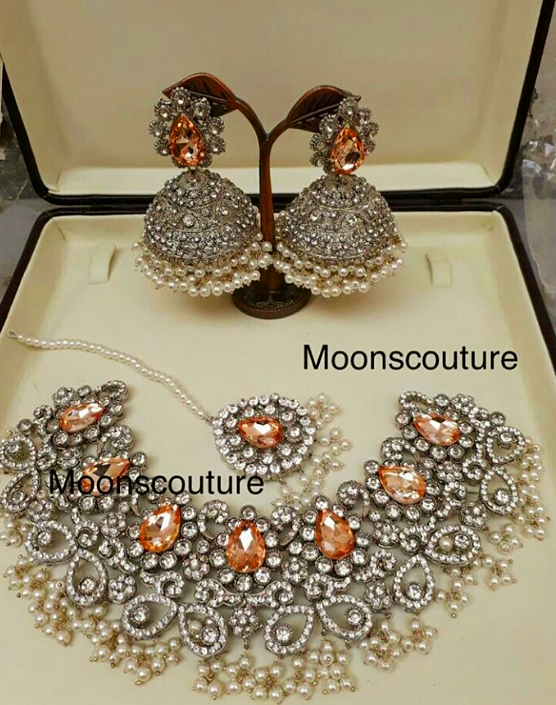 Moon’s Couture specializes in creating pieces of customized jewelry while translating your imagination into something beautifully tangible. Traditional jewelry never runs out of style. It is the new contemporary that dazzles up your glam quotient while you are trying to be at your bridal best. 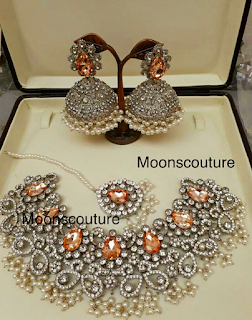 With a flair of Eastern elegance fused with sophisticated ornamentation, Moon’s Couture creates masterpieces that are worth a stare! Whether you are looking for a beautifully-crafted Mongiya set or an adornment made with a stunning combo of beads and gemstones, Moon’s Couture is a one-stop shop for all. From delicate to dramatic, the crafted designs are worth a look! Gone are the days when the upcoming films were only being marketed through various media platforms. Today, we live in an era of entertainment where a film trailer or a billboard poster is not just enough to captivate the attention of the audience but a wide range of interactive and innovative publicity campaigns are essential to gain the mass interest. Following the same trail of promotion and ballyhoo, the cast and crew of the movie, “Parchi” spent an entire evening at Fun City Pakistan at Giga Mall on 28th December, 2017 and 29th December 2017 at Fun City Centaurus Mall, Islamabad, where they greeted the fans, took photos, signed autographs, experienced the rides and enjoyed an hour of interaction with them. Director Azfar Jafferi, Producer Imran Kazmi along with the cast members Ali Rehman Khan, Hareem Farooq, Usman Mukhtar, Ahmed Ali and Shafqat Khan attended this special meet and greet being hosted by Fun City Pakistan in order to entertain the movie buffs in the Capital. 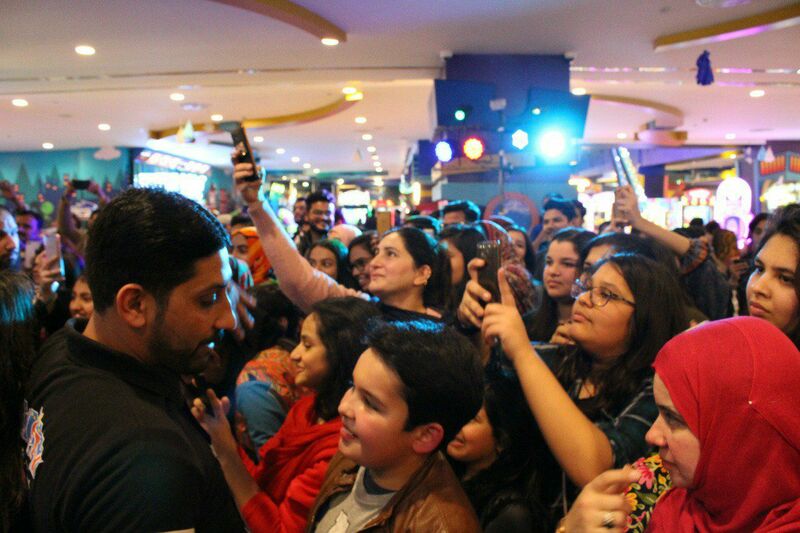 Fun City Pakistan has been supporting the local film industry for quite a while by highlighting various talent through meet & greets and charity events. The place not only caters to one’s recreational needs through games and rides but it has also been providing top-notch entertainment to its visitors through various events such as Wheel of Fortune game being held earlier. 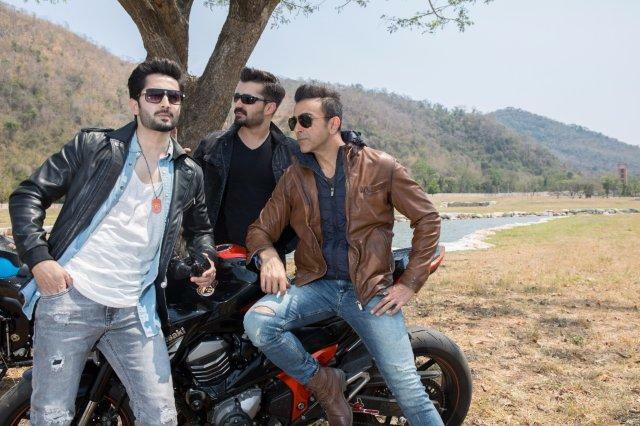 In case you are looking for a quick escape from boredom, now you know where to head! Thank me later! What happens when a mall becomes all bright and cheery with evenings featuring exciting games and fun activities? It turns into a Fun City, that’s what! 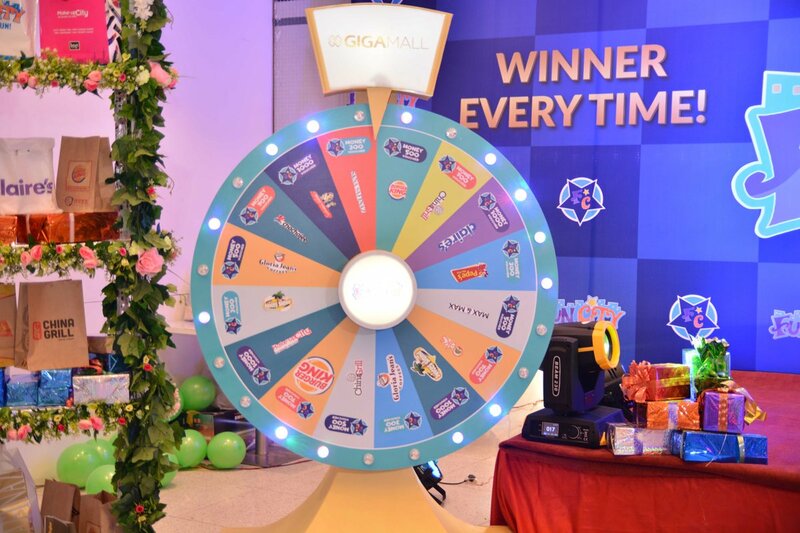 Basking in the ambiance of colors and delight, Fun City Pakistan hosted the first-ever Wheel of Fortune game event at Giga Mall as a part of their Shopping Festival celebration. 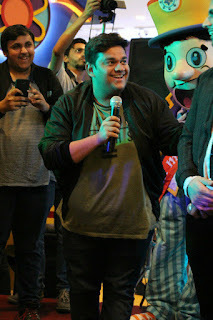 Spanning over a period of 10 days, the evenings presented some super fun game challenges to the visitors whose response had been nothing short of overwhelming. Not only the kids participated in the activities with full energy and zeal and zest, the youngsters and the elderly equally took part in them with the same pinch of enthusiasm. No wonder it was such a delight watching people playing musical chairs or blowing up balloons or trying their luck while rolling out dices on the giant Ludo floor competing for the win! Although, “Everyone’s a Winner” at Fun City Pakistan, the individuals competing for the Wheel of Fortune game had to conquer various “Minute to Win It” challenges in order to qualify for the winning spin. 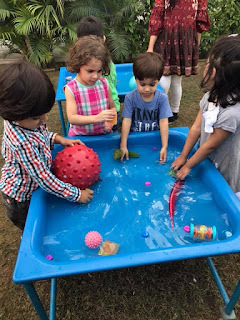 Challenges like Flip the Lid, Face The Cookie, Spoon and Ball Race and Tea Party not only kept the participants entertained but it also turned out to be an enthralling experience for the audience. 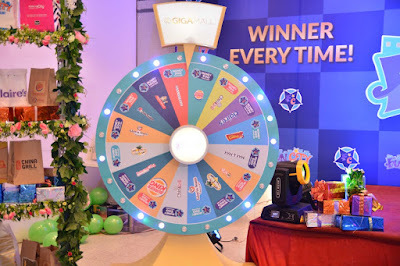 The winning participants who qualified for the spin got their hands on exciting prizes and gift vouchers courtesy of various sponsoring brands including and not limited to Sana Safinaz, Oaks, Claire, Max & Max, Makeup City, Gloria Jeans, Bombay Chowpatti, Juices Island, Pepes Piri Piri, Burger King, China Grill. Now who wouldn’t want some free products on a shopping spree! 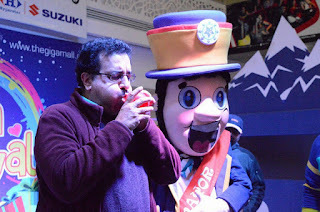 Turning out to be an ideal family outing for everyone this winter, the place had something for everybody to have a good time at the event. The ones who didn’t fancy playing games took delight in the musical performances by celebrities such as Rabi Peerzada who rocked the stage. 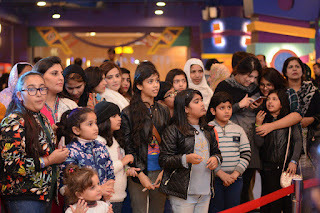 Facilitating entertainment to all age groups, Fun City Pakistan has emerged as one of the leading pioneers of family entertainment in Pakistan. Their high adrenaline rides, the Mini Dance Party 360, the Top Flip, etc. 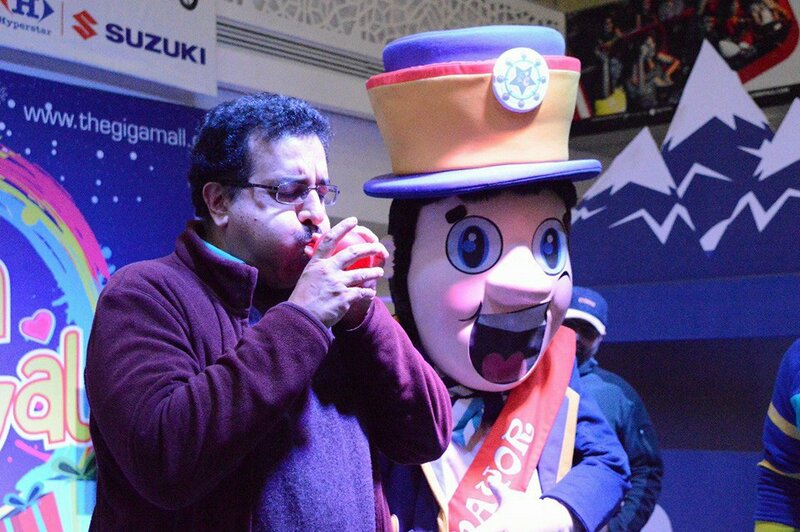 make it an amusing recreational hub for all ages and tastes. So if you are up for some fun along with shopping in the Capital, now you know where to ride! 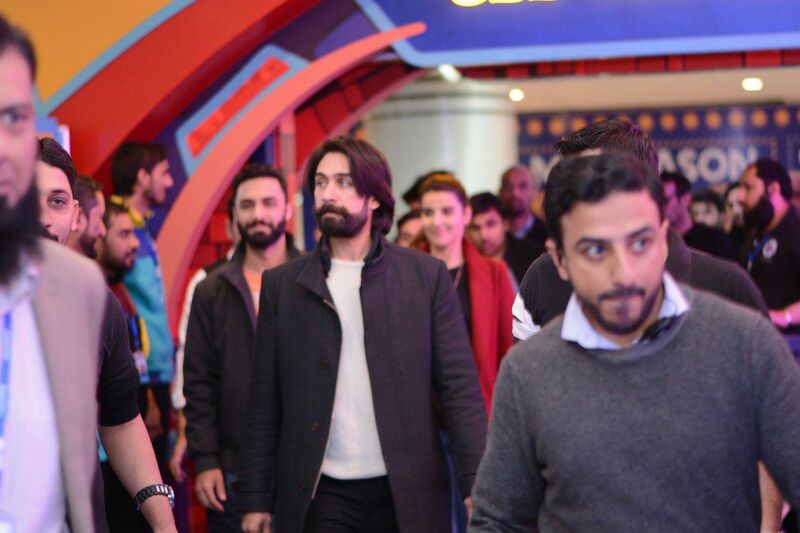 Follow #FunCityPk on Twitter for more updates on the joy ride! “I Tawt I Taw A Puddy Tat!” . . . . . . . that left me in awe and wonder. 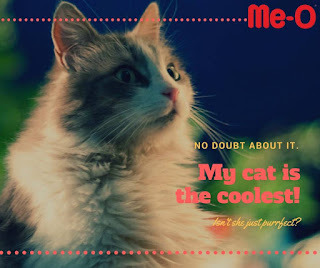 Cats are the most beautiful pets one can have and while I remember keeping them as a pet long time ago, I do not recall if I ever thought much about the different breeds and colors of a cat until I headed over to a cat-walk being held in the neighborhood. 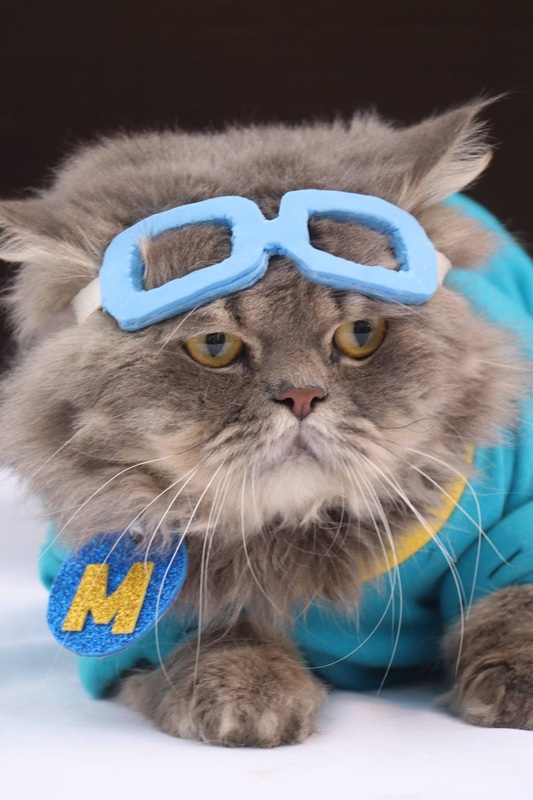 Celebrating the fur-ever love for the furry balls, the 6th Me-O Annual Wonder Cat Show was a total delight to watch! 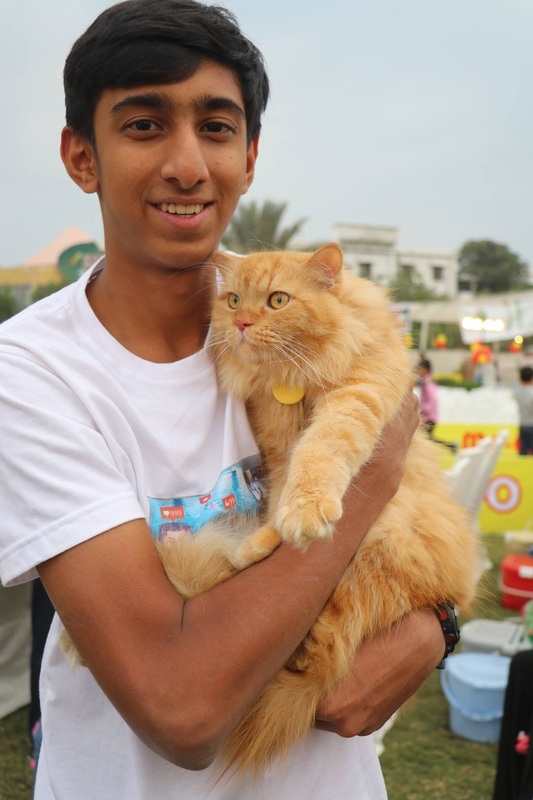 Held on December 10, 2017 at Maritime Museum in Karachi, the event gathered more than 50 cat breeders and cat owners at one place. 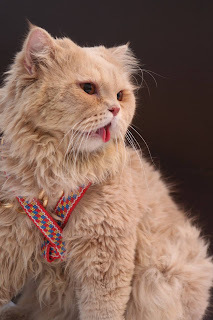 The event kicked off with a catwalk where owners took a stroll down the runway displaying their dapper, bowtie-clad cats to the audience after which they were carried to the judges’ table for further evaluation on how well they suited the standard for their own breed. 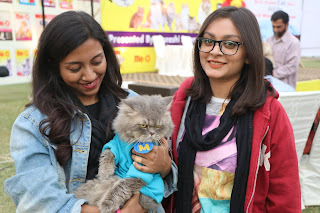 There was never a dull moment at the cat show where a range of pedigree and pure-bred cats kept the audience captivated and entertained with their feline beauty and grace. 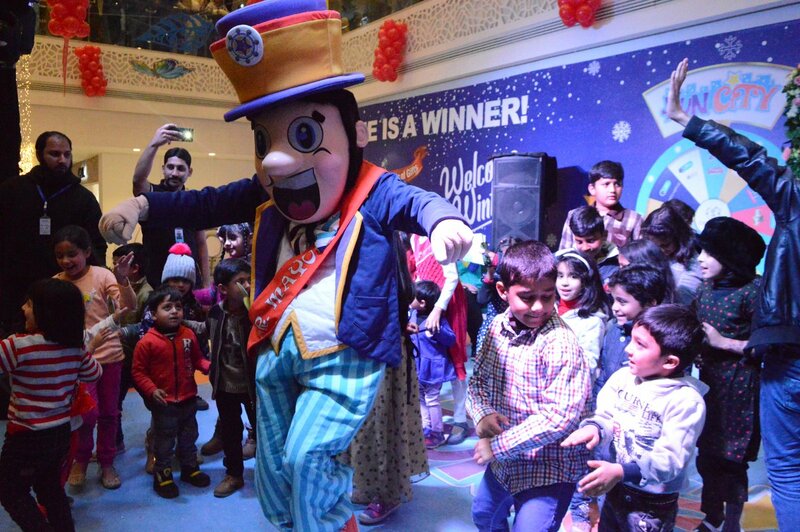 Apart from the exciting catwalk, different kinds of fun activities such as Magic Show, Fire Dance, Hip Hop Dances, and Comedy Sessions were also arranged for the audience’ recreation. What the crowd enjoyed the most was the photo session where cat lovers took pictures with the adorable kitties. 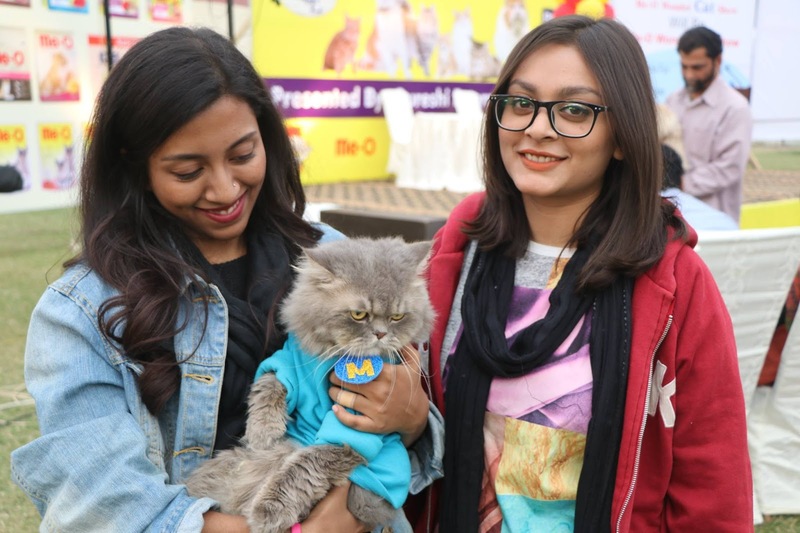 The Me-O Annual Wonder Cat Show has been a regular feature for the last six years being organized by Qureshi Enterprises - the sole distributors of Me-O cat food in Pakistan. These one-of-its-kind cat shows have not only brought the cat enthusiasts together but they have also helped cat breeders in finding customers for their p-awesome beauties. Who wouldn’t want to own a fluffy kitten after all! 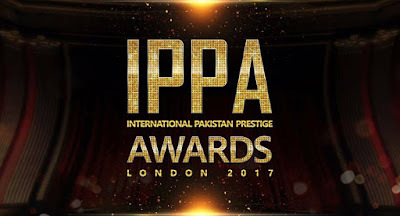 Recognizing the need to appreciate and acknowledge the exceptional talent being churned out across a wide range of creative spectrum, IPPA (International Pakistan Prestige Awards) is being scheduled to be held on September 17, 2017 in the city of London – a hub known for contrast and creativity. 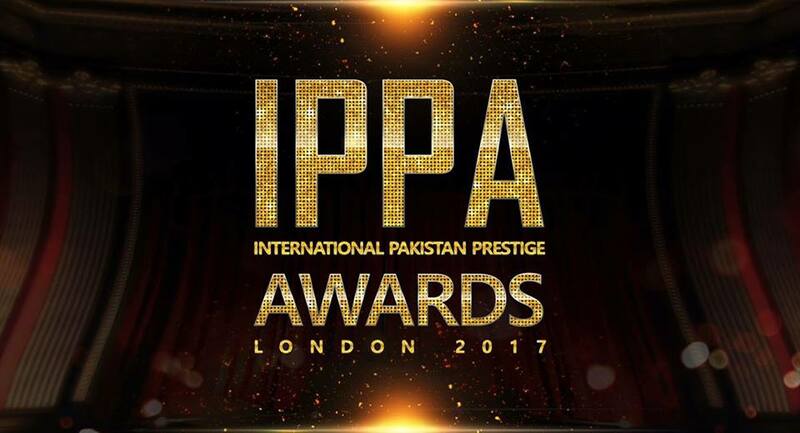 Being one of the biggest International Pakistani Awards, IPPA is all set to celebrate the best of the best in Pakistan’s Film, Music, T.V, Fashion and Sports industry by presenting a set of 25 awards in various categories. Apart from rewarding the prominent and the distinguished for their outstanding performances in the year 2016, IPPA shall also be a springboard for some promising emerging talent, highlighting their achievements in their respective spheres. 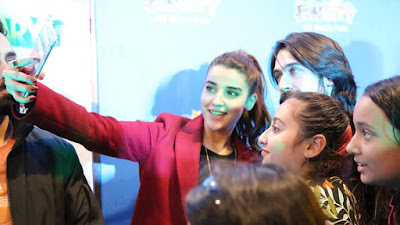 Speaking of emerging talent, the awards night showcases a category titled, “Best Emerging Talent of the Year 2016,” which features an eclectic range of Pakistani talent hailing from diversified fields of creativity. 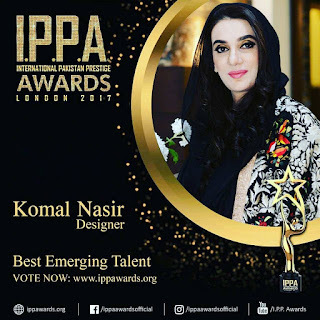 One of the outstanding nominations include Komal Nasir - one of Pakistan‘s finest fashion designers known for exclusively designing shawls, scarves, capes and dupattas. 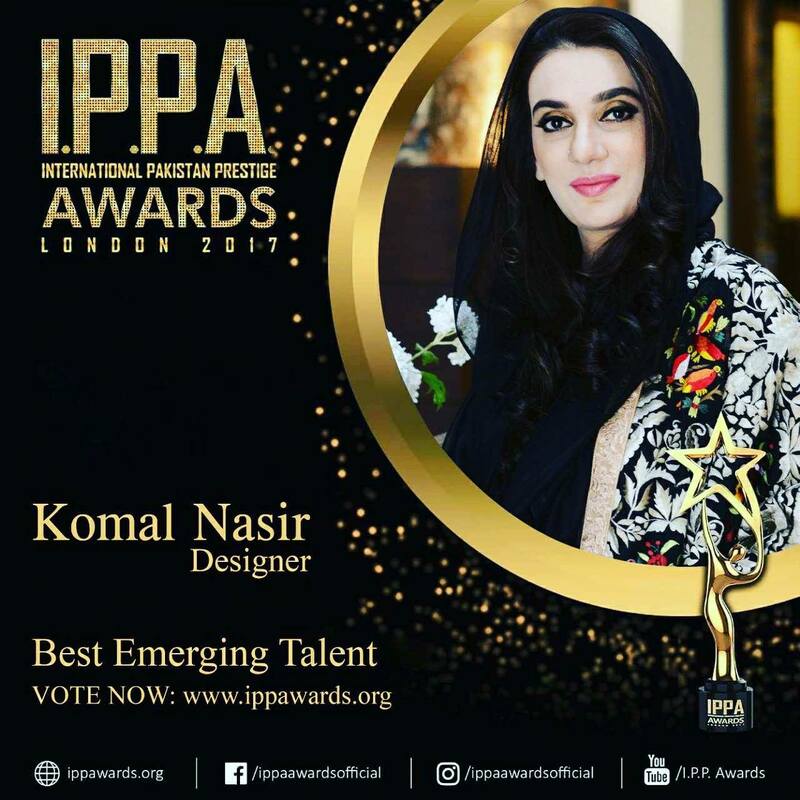 A graduate from College of Home Economics, Komal Nasir has become popular within the fashion fraternity over a short span of time. Known for her intricately designed shawls and dupattas for various occasions, her work is a masterpiece reflecting fine craftsmanship and finesse. Fusing culture and fashion together, her work shows her innate fondness for intricate embellished embroidery where Resham, Marrori, Sequins and Gota work are unmistakably rich and bespoke. In case you are equally fond of her work as much as I am, don’t forget to cast your vote at IPPA Awards. ‘Tis the season of festivities, family get-togethers, and parties with your favorite people and you know what that means? That entails a celebration of good times and cheer which can never be deemed complete without a gift of delicious food! Be it a Christmas celebration with your best chums, a soiree during the winter semester break, a coffee klatch on a cozy night or a visit by your distant family relative during vacations, these are the times when you’d want good food being quickly made and readily available on the table! But then, there will be times when the laziness would reign and you wouldn’t want to cook! For people like myself who often #DontCook food (unless they are being bribed by love), they eventually find themselves relying upon ordering food from an eatery while planning for a party. And that is how I discovered these amazing deals being available for ordering through the foodpanda app. Celebrating the #BestOf2016 this year, foodpanda Pakistan has been offering up to 80% discount on more than 200 restaurants nationwide from Dec 23rd – Dec 25th, thus bringing one of the biggest-ever discounts of the year on our culinary favorites. 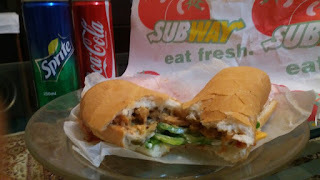 The entire list of discounts being offered on food outlets in Karachi can be found here. With the amazing discounts available at hand, treating friends to a luncheon or a dinner just got better, easier and so affordable! 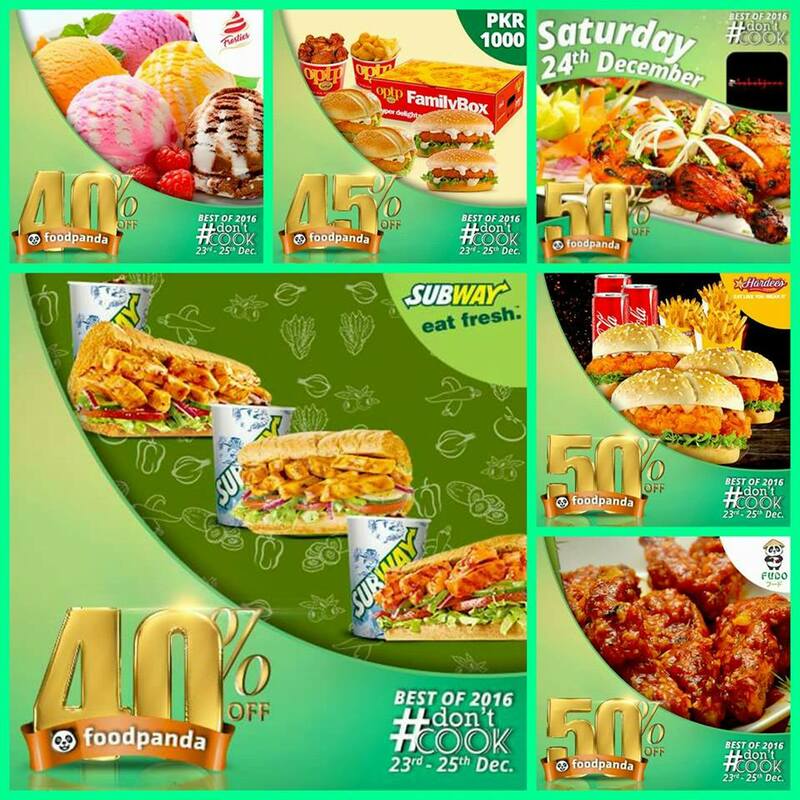 Guess it’ll be a right thing to say that foodpanda Pakistan has featured deals for almost every budget. One could find a long list of fast-food outlets and restaurants being located in Karachi, Lahore, and Islamabad that were offering up to 80% discount on their food items. From the cheesy and saucy burgers and pizzas to delectable desserts, foodpanda Pakistan had deals for all giving you the reason to not to cook, sit back, relax and enjoy this weekend! Hello! Is it You I am Looking for? The foodpanda app helps you answer this question by letting you discover the best dining outlet that serves in your area. Just a few clicks here and there, and you are good to go ordering! Being an online customer, the very first thing that you would take into consideration would be their time of delivery. 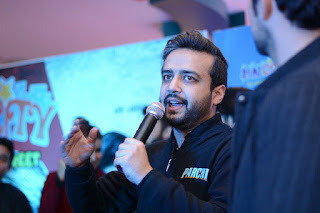 Speaking of my maiden experience at foodpanda Pakistan, I’d say that I had my order delivered at home within the time limit that had been indicated on the app. Yes! You can keep a track of your order’s delivery while using the foodpanda’s app. Just keep a check on the clickety clock! 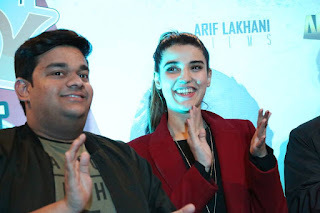 Ordering food through the foodpanda app turned out to be a seamless experience even during the time when they must have been occupied with a long list of orders and clientele owing to the festive season. On time delivery coupled with courteous and effective customer services is worth an appreciation, making you want to order through foodpanda again. 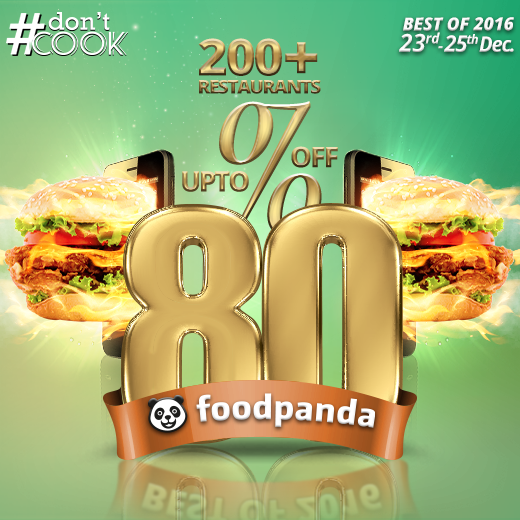 Don’t have the foodpanda app on your phone yet? Download it here now! 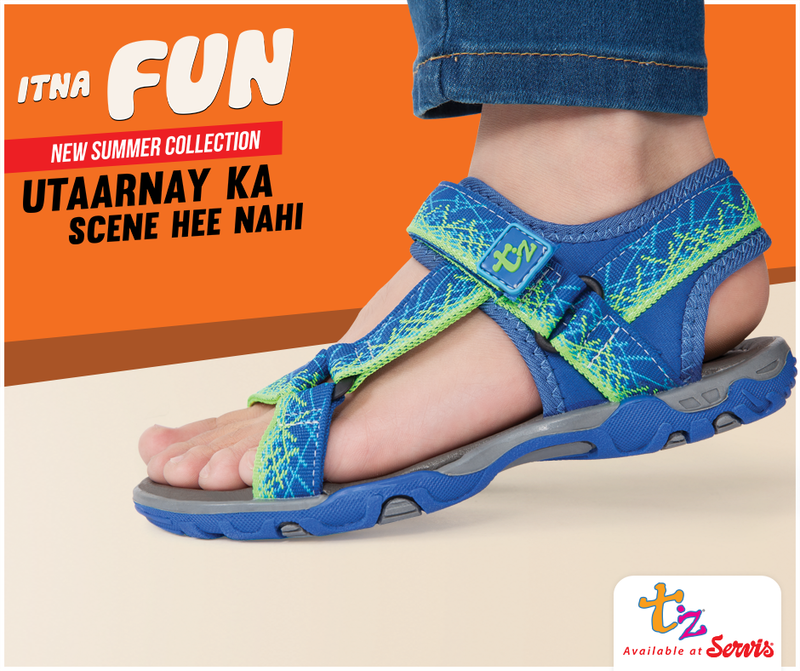 Setting out in search of your perfect sole, you come across several creations – each one depicting its own style and story. The quest is no less than a fairy-tale where you get to pick and choose the right one according to your choice and taste so that you could live in those shoes happily ever after. 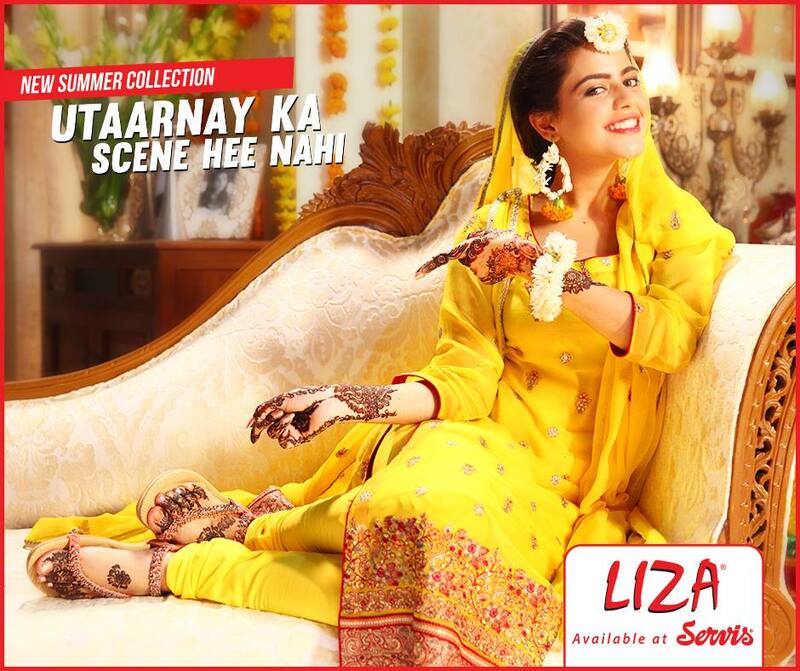 With summers around the corner and shoe fetish blooming in heart, I have also been on a challenging quest of finding the right fit until I found Liza, which is one of the signature lines of Servis Shoes. 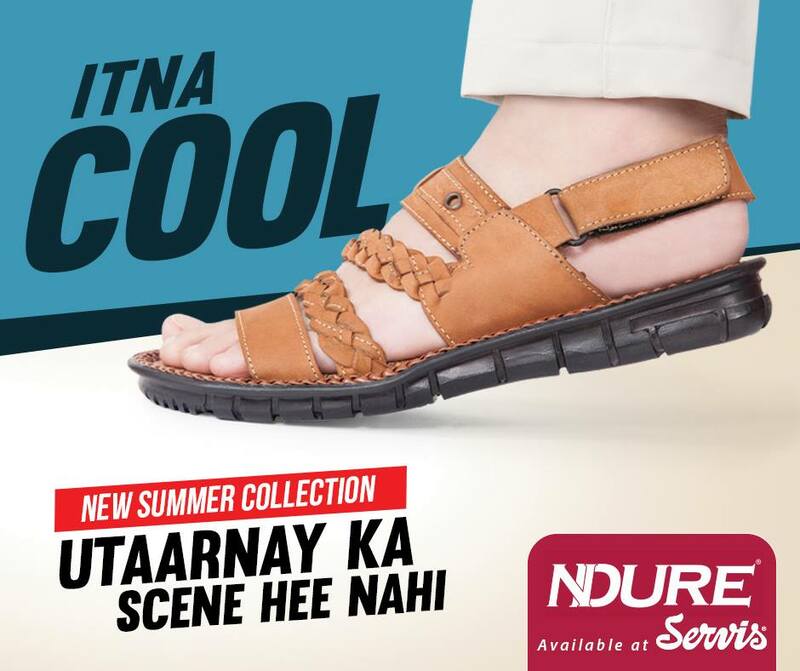 One of the Pakistan’s leading footwear brands, Servis, has recently launched its new summer collection including their signature lines Ndure, Liza and ToZ – and which are now available at their stores across Pakistan. 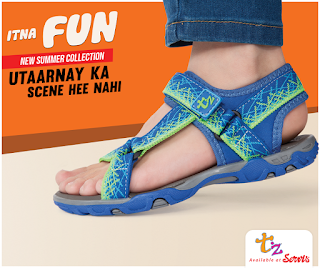 This newly-launched collection can be one of the most suitable options for those seeking a blend of trend and comfort in their perfect sole-mate during summers. 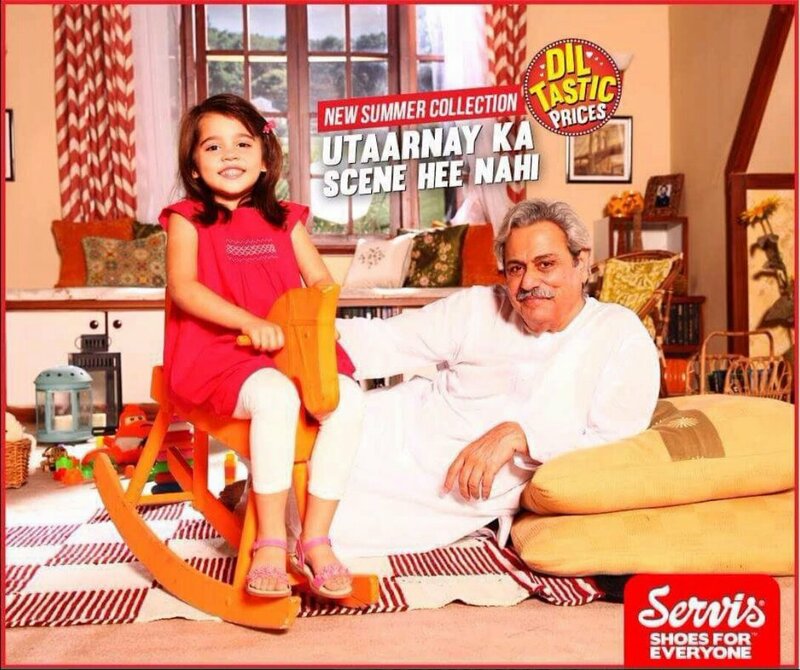 The new collection has been launched by the brand, with a TVC campaign titled “Servis Shoes: Utaarney Ka Scene Hi Nahi”. 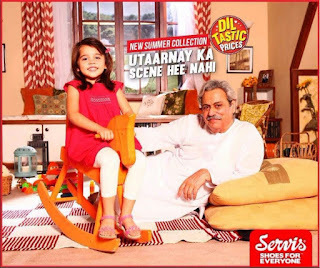 The TVC shows various hip and youthful individuals in situations where one would take their shoes off, but in this case, they are so madly in love with their Servis shoes that shoe owners don’t take the shoes off – and are seen wearing the shoes to bed, while swimming and even while taking a bath! Ever witnessed such true love, eh? Have a look! This new TVC campaign by Servis reinforces the brand’s identity and its promise of catering to the daily footwear needs of people belonging to various age groups while the surprising variety of the shoe collection speaks for itself. With its multi-brand approach and aesthetic designs, Servis Shoes has always remained one of the favorite choices for shoe aficionados and it also helped me in finding the perfect match!